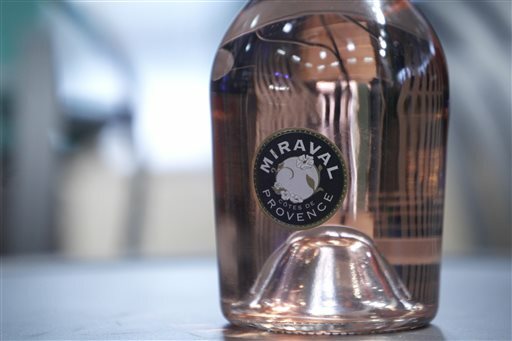 These raves don’t appear in movie publications — they’re from Decanter magazine’s review of the celebrity couple’s second vintage of rose wine produced at their French Provencal estate, Chateau Miraval. The 2012 vintage, Pitt’s and Jolie’s first since buying the 500-hectare (1,200 acre) estate, was the highest-ranked rose on Wine Spectator’s annual Top 100 wines list. Around 200,000 bottles of the ’13 will be sold for around 15 euros ($20) each.